THREE-STEPPED OCTAGONAL BASE SURMOUNTED BY OCTAGONAL PLINTH, SHAFT AND IN-FILLED WHEEL CROSS. INSCRIPTION ON BRONZE PLAQUES ON THE SIDES OF THE PLINTH. WHOLE STANDS ON A CONCRETE BASE WITH A PATH LEADING TO IT. CHAIN LINK FENCE SURROUNDS IT WITH A GATE AT THE ENTRANCE. 2011, 18-19 March: Two bronze plaques stolen from the memorial. 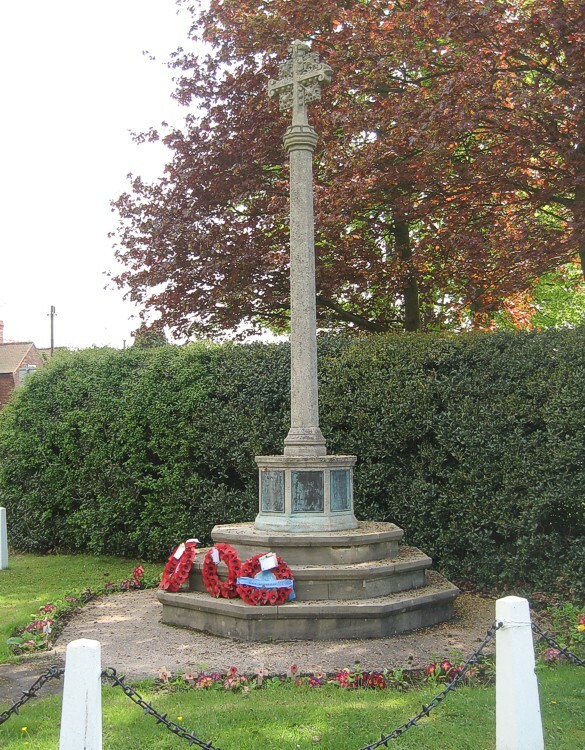 2009: Restored by Parish Council following fund raising in the community. Yorkshire Post 23 March 2011 Report of the theft of the bronze plaques.